Halting HIV: Antibody treatment delayed the virus (above) from rebounding in patients taken off their anti-retroviral medications. Great strides have been made in recent years to develop treatment options for HIV, and the disease can now be controlled with anti-retroviral drugs. But a cure remains elusive and current medications have limitations: they must be taken daily, for life, and can cause long-term complications. Now, Rockefeller scientists report that they are one step closer to an alternative treatment that utilizes antibodies. This therapy has the potential for long-acting effects and would allow for less frequent dosing. Recently published in Nature, the findings suggest that an antibody called 3BNC117 can effectively delay the virus from rebounding in patients who temporarily suspended their anti-retroviral medications, currently the standard treatment for HIV. The 3BNC117 antibody was isolated in the Nussenzweig lab several years ago by guest investigator Johannes Scheid, co-first author of this most recent publication. It was cloned from cells of an HIV-infected patient whose immune system was able to fight HIV particularly well. The virus primarily infects CD4 T cells, part of the immune system that helps protect the body from infection. 3BNC117 stops multiple strains of HIV from hijacking these cells. Anti-retroviral drugs suppress HIV by preventing its replication, but the virus remains dormant in the body, mostly in reservoirs within CD4 cells. If a patient stops taking anti-retroviral drugs, the virus is released from these reservoirs, and quickly rebounds. This small study, called a Phase IIa clinical trial, builds on a previous study from the Nussenzweig lab, in which HIV-infected patients were given the antibody without receiving other treatment. This time, the researchers tested 13 HIV-infected patients who had been treated successfully with antiviral therapy. The goal of the study was to determine whether the antibody alone would be able to maintain virus suppression in patients that were taken off anti-retroviral drugs. Caskey and colleagues found that the antibody was able to delay when the virus came back to about 10 weeks, compared to about 3 weeks in controls. One of the many challenges in treating HIV is that the virus quickly mutates. As a result, patients carry many different strains that cannot be eliminated with a single medication, and each person’s virus repertoire is different. An advantage of 3BNC117 is that is has the ability to fight a wide range of HIV strains, but not all; some studies suggest it can neutralize about 80 percent of viral isolates taken from patients. In this study, the researchers tried to select participants whose viral strains were likely to be a good target for 3BNC117. However, current testing methods are not very precise in predicting exactly which strains are present, and patients had varied responses. The next step will be to test 3BNC117 in combination with another HIV-specific antibody, such as 10-1074, which targets the virus from a different angle, and has also been shown to decrease virus levels when given to HIV patients not on treatment. This study was supported by the Collaboration for AIDS Vaccine Discovery, the National Center for Advancing Translational Sciences, NIH Clinical and Translational Science Award program, NIH Center for HIV/AIDS Vaccine Immunology and Immunogen Discovery, Bill and Melinda Gates Foundation, the Robertson Foundation, the Ruth L. Kirschstein National Research Service Award, and other sources. The Rockefeller University is a world-renowned center for research and graduate education in the biomedical sciences, chemistry, bioinformatics and physics. The university’s 76 laboratories conduct both clinical and basic research and study a diverse range of biological and biomedical problems with the mission of improving the understanding of life for the benefit of humanity. Founded in 1901 by John D. Rockefeller, the Rockefeller Institute for Medical Research was the country’s first institution devoted exclusively to biomedical research. 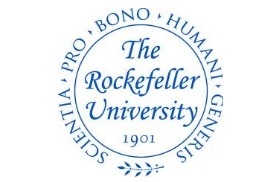 The Rockefeller University Hospital was founded in 1910 as the first hospital devoted exclusively to clinical research. In the 1950s, the institute expanded its mission to include graduate education and began training new generations of scientists to become research leaders around the world. 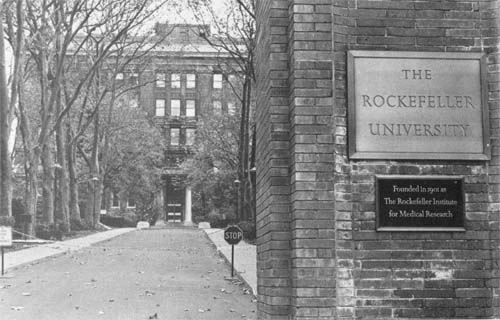 In 1965, it was renamed The Rockefeller University.